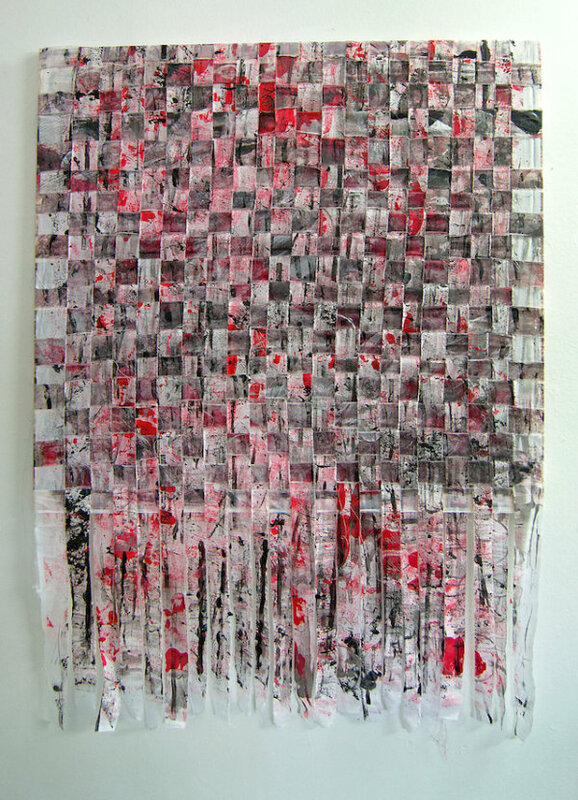 Print-making, acrylic paint, inks on fabric and woven, 2019. 104 cm x 78 cm. Nikkita : " This references the ongoing story of Brexit. I used a range of print-making techniques to print panels of fabric that were ripped into strips and woven together. The printed panels have text and imagery taken from news headlines and articles in relation to Brexit.